Did you need to know how to transfer frequent flyer miles between airlines? Do you need a few miles to get to a free trip? Or do you have some miles that are expiring or you think you will never use? It may be you can get the points you need, or get rid of the points you don’t need, by transferring them to another program. The transfer rates are sometimes good, sometimes not good. 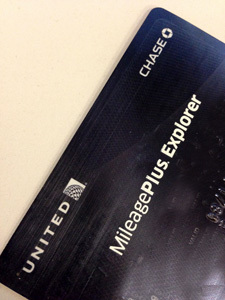 The best strategy is to get a Chase Saphire Preferred Card with 40,000 bonus points and convert those points at 1:1 to top up your airline accounts. Or get a Starwoods Preferred Guest account and Starwoods credit card, as of this writing, the Starwoods credit card comes with a 10,000 point bonus – you can convert those to 10,000 American AAdvantage or Delta Skymiles miles, or 5,000 United Mileage Plus Miles. You can use Hilton Honors as a middleman to transfer miles across programs, but it is a terrible transfer rate. Points.com also lets you transfer miles between programs – but they do take a lot of points and cash in the transfer, but they are definitely worth checking out. Starwood You can’t transfer miles into American Express, but if you need desperately to top up a program not on their list you can transfer the points from Amex to Starwood (or as a last resort Hilton Honors), then to that program. Virgin Atlantic Excellent conversion rate, if you need to top up a program use Starwood! Virgin Atlantic Increments of 5000;90% reduction in value, but if the points are going to expire or never be used anyway, using Hilton as the transfer is a method of last resort.